We’ve been in the lighting business for several years, so we tend to come across some quirky cases of lighting needs. Lighting isn’t always the easiest project to work with around the block, but the good news is that these kinds of projects can be managed easier than you may think. When trying to solve problems of logistics, sufficient lighting, pole placement, which technology to use, and whether or not your project will need lights that can be relocated, it’s important to consider all options. 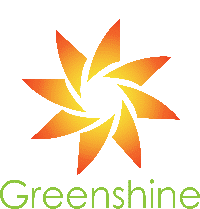 That’s why Greenshine New Energy has one of it’s largest problem-solving solutions for any business entity or city that needs lighting: temporary parking lot lights. Here’s a brief into to these modern marvels of radiance. The beauty of these temporary lights (we call them Portas, a very fancy name) is that they can be moved around with forklifts to place wherever needed. Sometimes projects in parking lots need sufficient lighting in different spots, and installing permanent lights stuck in the ground and wired to a grid just doesn’t solve the problem of being able to see when the sun isn’t out. Sometimes light needs to be in a different place at a different time, and so portability is a factor. We’ve had a similar case in the past where our customer deterred crime, finished their project, and saved money. We’ll call that a win for the books, all because we thought that companies would need temporary parking lot lights in order to finish their projects. We’re happy to be in business for business using these special lights. But how do they work? We use solar LED lighting in order to get the best results. Our in-house wizards decided to combine energy-saving LED lights coupled with solar panels to create portable temporary parking lot lights to illuminate whatever is needed so people can work around the clock. Pulling energy from the sun and re-using it not only makes for a unique light solution, but it also saves on energy bills significantly. One of our customers couldn’t afford digging into the ground to trench for wires, and we saved them over 90 thousand dollars with our solar LED lighting solution, certainly not some pocket change lost in the couch. These lights have high lumen output per watts, meaning they’re brighter with less energy consumption. They’re perfect for any public light. Solar technology used to be incredibly inefficient, but that isn’t true anymore. With an average yield of about 20 percent energy return and a drop in manufacturing costs over the past several years, solar has been paving a way for a newer, cleaner energy. While it’s likely secondary to project budgets, timelines, and bottom lines, using renewable energy in the form of temporary parking lot lights is something to feel good about. You’ll see safety increase, bills disappear, and perhaps even commuters stop to comment that your business has gone green. It’s just a part of what happens when you stick with solar LED lighting trends that we’re setting for businesses throughout the US. If you’re in need of temporary parking lot lights for your business to complete projects and bring sufficient lighting to your public area, you’re in luck. Our Porta series does just that, and we’re fully prepared to provide a quote for your business. Join us in the trend of going green, increasing safety, saving money, and pleasing your boss with solar LED lighting today. We can’t wait for you to check off the lighting project on your “to do” list with glee. You may have heard the term LED before tossed around in computer lingo or “geek speak” as they call it, but there’s less geek to the truth of what an LED is. A light-emitting diode has been a popular light source in technology, consumer electronics, and even traffic lights. Thankfully today, LED technology has evolved to useful applications such as solar LED parking lot lights. Here’s some background on them and how they developed into what they’re used for today. Where Did LEDs Come From? The rise of LEDs started with the discovery of electroluminescence. The first LED was developed in 1927 by Oleg Losev, although there was no application for such an early light. The first LED with visible light was actually produced in 1962 by Nick Holonyak. Since then, small developments in the technology for LEDs have seen the device blossom into technology used in every day life, such as remote controls for consumer electronics. They only had capability to emit infra-red light, but they certainly weren’t powerful to light anything like a parking lot. However, eventually the technology developed to be perfectly paired with solar power so that eventually we could develop solar LED parking lot lights for businesses, cities, and public entities. But why does that even matter? It turns out LED lights are perfect when paired with solar power because of their low energy consumption and brightness. LED lights use significantly less power than incandescent bulbs and have a greater lumen output than filament lighting. It’s basically a much higher “return on investment” when it comes to how much light is produced per unit of energy put into the bulb. When you add solar power to the mix, you’re combining an endless supply of energy, a low-energy consumption bulb, and a high lumen output. A trifecta of positives wrapped into a solar lighting solution with multiple applications. But what does that mean for a business that invests in solar LED parking lot lights? The biggest impact when you combine LEDs with solar power is that savings go skyrocketing. Businesses we’ve helped in the past have saved several thousands of dollars because they dodged the costs of trenching and wiring. We’ve saved cities and municipalities a wealth of money by using solar mailbox lighting and other projects that cut costs and put money back into business development. The savings secret is in the solar design; each solar LED light is independent of power and thus doesn’t need trenching, wiring, or connectivity to operate. Combined with low energy costs (virtually none) and high-lumen-output bulbs, we think we’re onto something. Several other businesses do as well. A fully-operational, self-sufficient, high-output, low-energy, cost-effective parking lot light using LED bulbs–we think that’s one way businesses can save some green while going green. It’s all because of the combination of solar power and LED lights; two modern marvels combined to bestow light upon public areas. It’s a little bit of genius, we think. Contact us if you’d like to learn more about how solar LED lights can save you gobs or read up on the technology we use. For farmers and rural residents to install traditional lighting, there’s a question of how to properly route power to a power meter and the costs involved—how long of a connection must be made, how deep of a trench, and the labor involved in digging a trench just to have proper lighting installed. These costs, depending on how complex the infrastructure, can easily rise into ranges of several thousand dollars. And that’s just the trench, if the trench can be built. It’s a no-brainer that solar panel lights require no external power to function properly; installing a costly power grid just isn’t a viable option for farmers and rural residents when you consider the financial impact. That’s why they turn to solar. The operation to dig, install, and maintain traditional power lighting heavily outweighs the low-cost installation and maintenance that solar provides. We’ve got plenty of examples to check out if you’re skeptical of the cost benefit. The price of energy is always a concern, especially in localities where it isn’t abundant. A recent report by EEFA (Energy Efficiency for All) reveals that families in rural areas spend a higher percentage on energy than average families. The time to be energy-conscious with rural areas is now, and one of the best solutions to reduce energy bills in rural areas is by using solar LED lighting. These kinds of panels can reduce the energy bill of a house over the course of a year by over a thousand dollars. A single square foot solar panel can generate 15 watts of power per hour of direct sunlight. On average, a solar panel can receive 4 hours of direct sunlight per day. Multiply that per square foot of panels you have per day, and the savings add up over time. Violent crime rates have actually increased in rural areas in the past few decades. Lack of employment and shrinking farms have contributed to a rise in crime, and rural communities are suffering the effects. Even the opioid crisis has struck some communities, and so it’s important to support rural areas through all possible avenues—even with lighting! Ensuring some rural communities have strong lighting is one method of increasing safety. A recent study published on LEDs Magazine detailed a study about several communities participating in public lighting programs. The conclusion of the study noted a 39-percent drop in crime rates with new lighting systems. Plus, proper lighting can extend leisure time outside for families and friends—something we all can benefit from. The benefits of using proper solar LED lighting panels are abundant for rural areas since they avoid costly trenching, save on energy bills, and improve safety where crime might be higher than we think. All signs for the best possible lighting solutions point to solar LED panels—take a gander at what we’ve got to offer for your farm and contact us if you’d like to learn more.